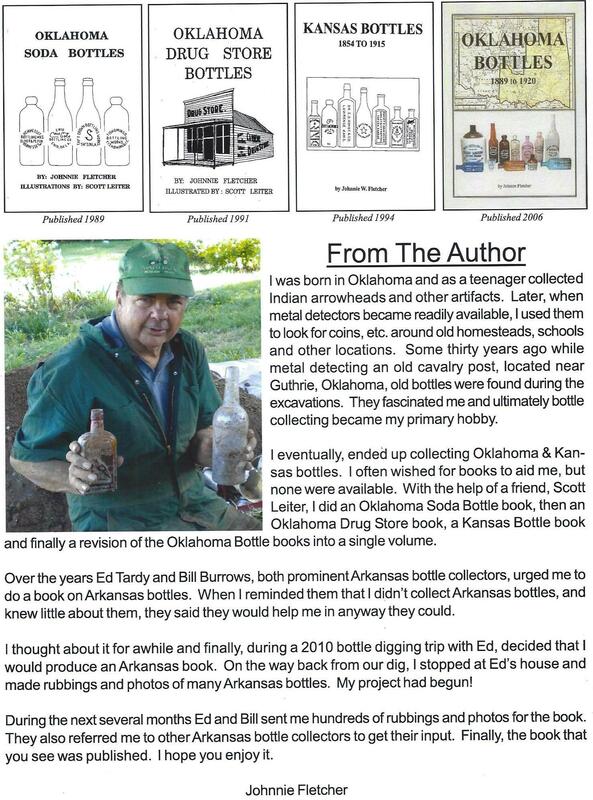 Also included are pictures and stories relating to the merchants who produced these items, mostly over a century ago. 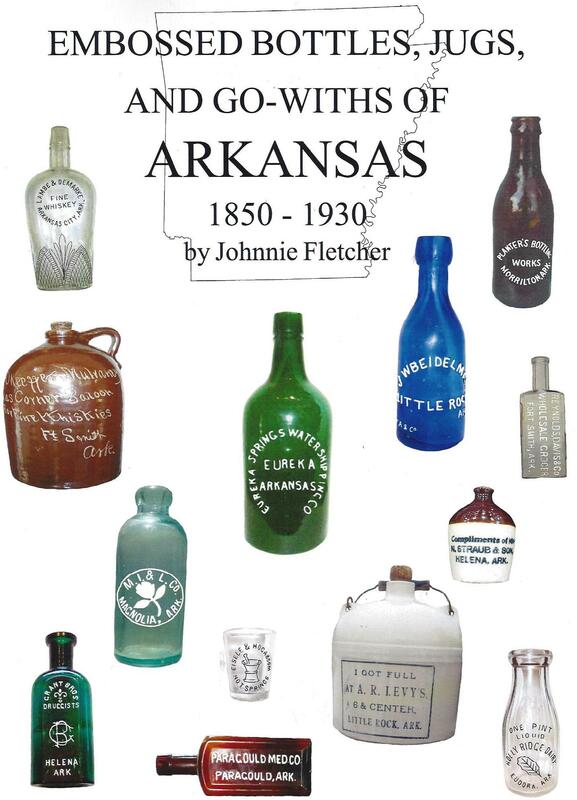 The go-withs section includes 24 pages of color photographs featuring etched shot glasses, advertising signs, advertising pitchers, letterheads, porcelain closures, labeled bottles, churns, saloon drinking mugs, and other oddities. A nine page Price Guide lists all represented items. When looking through the book at the large quantities of bottles and jugs produced from some towns, it is hard to imagine the level of trade activity that took place on a daily basis for many years until regulations, consolidation, and the rise of large national corporations pretty much put an end to the wide open society of the late nineteenth century. 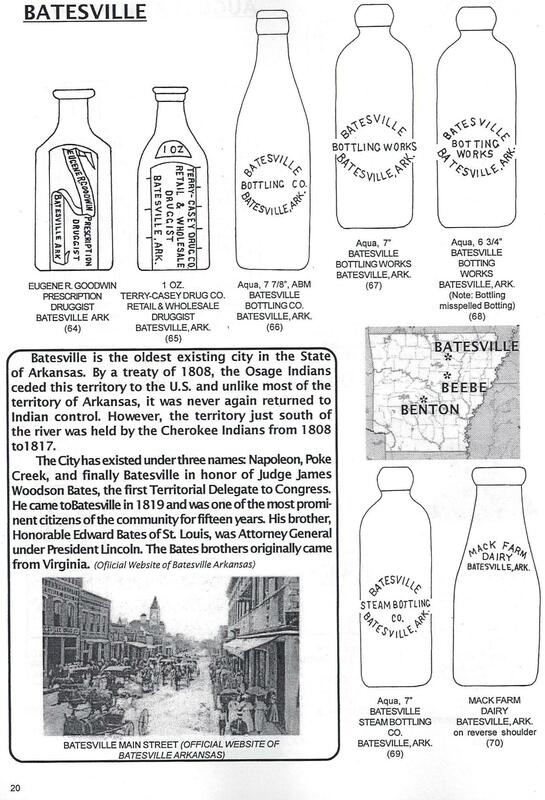 For example, by 1910 the Mississippi River port city of Helena supported no less than 16 independent druggists, 10 independent bottling works (including a thriving Coca-Cola franchise), six liquor merchants who sold their products in bottles, as well as 11 different liquor dealers who produced many different jugs, a bitters bottle, several patent medicines, and an early Whiteman's Patent milk bottle.